HONOLULU, HAWAI‘I – The American Civil Liberties Union of Hawai‘i Foundation (“ACLU”) and the law firm of Alston Hunt Floyd & Ing filed a class-action lawsuit today against the City and County of Honolulu (“City”) in federal court. 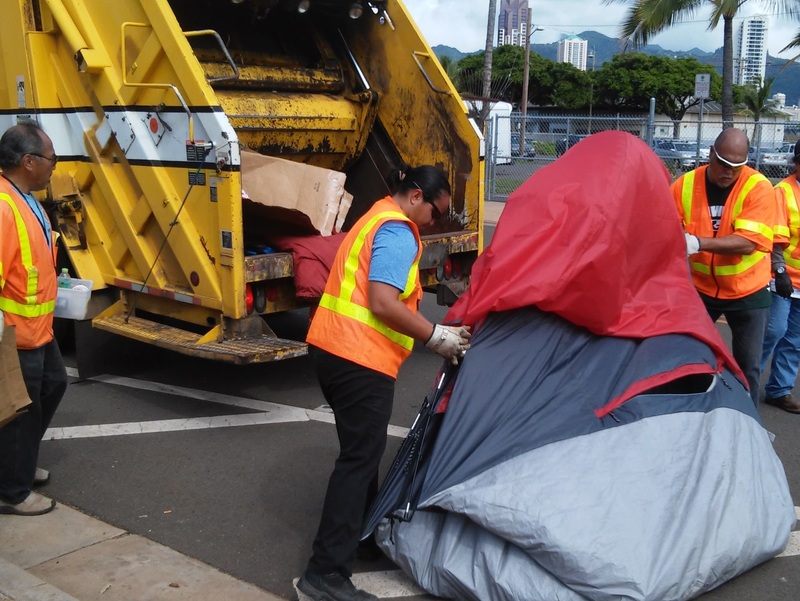 The lawsuit alleges that the City violated the United States Constitution when it destroyed personal property belonging to the plaintiffs – who are or have been homeless – without due process of law. The lawsuit alleges that instead of impounding and storing seized property and giving adequate opportunity to reclaim the items, property seized by City officials was instead immediately destroyed. The lawsuit also alleges that no notice, receipt, or information regarding how property might be recovered was given to the plaintiffs. The lawsuit seeks stop the City from violating the Plaintiffs’ constitutional rights; end the practice of destroying personal property without following procedures; and to require the City to pay damages and attorneys’ fees. 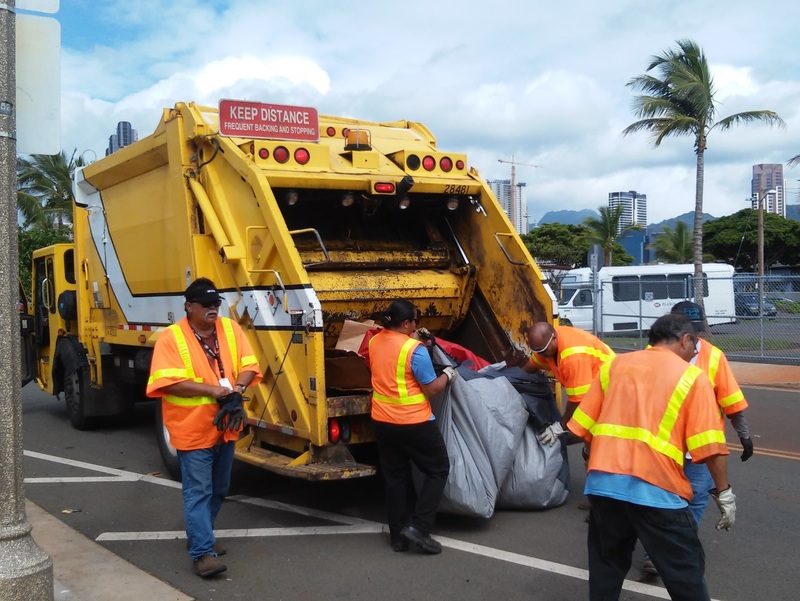 In just one unannounced sweep in Kaka‘ako, on November 13, 2014, City officials seized and destroyed the Plaintiffs’ property, including their food, childrenʻs toys, prescription medications, and government identification documents. In some cases, entire tents, obviously filled with personal belongings, were thrown into a waiting garbage truck and crushed. 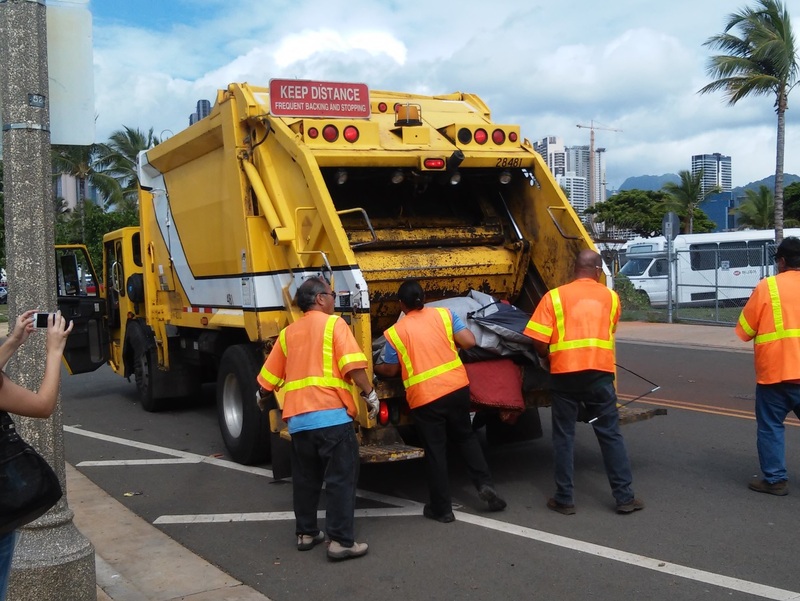 City workers have repeatedly refused to allow property owners to retrieve necessary personal belongings like medications and identification documents, instead threatening them with arrest if they interfere with the sweep. 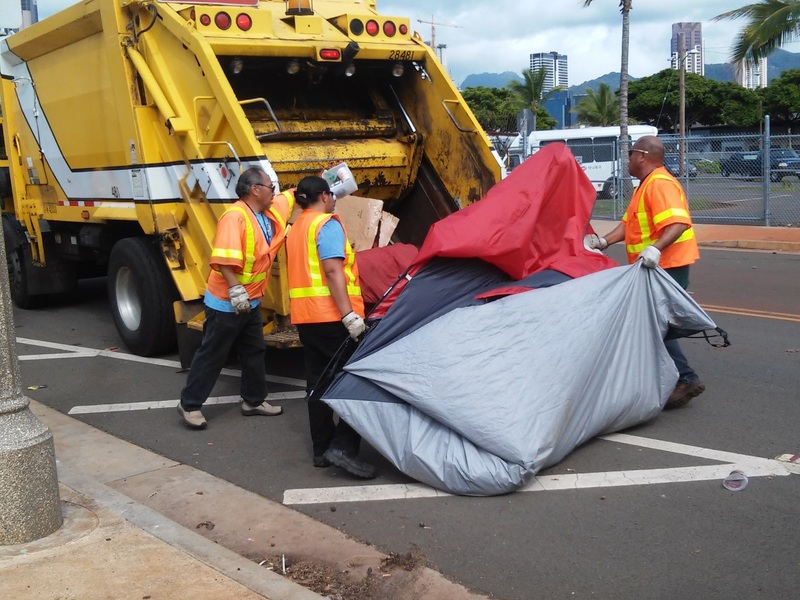 The City continues to violate the Constitution in its sweeps, by announcing that it will immediately destroy certain items (like tarps and perishable food) and that it will arrest anyone who gets in the way.